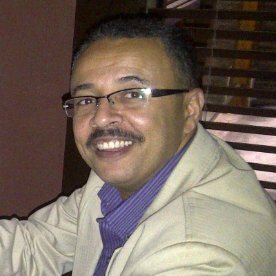 Graduated in 1991 with a Bachelor of Architecture, followed by a Construction Engineering Management Diploma in 1994 and a Masters of Project Management in 2006, Hossam has worked as a Project Manager and design architect for many construction projects in Canada, the Middle East, and the Caribbean. Hossam is self-motivated individual with excellent leadership and communication skills. He works well as a team member and / or team leader and able to manage different groups of professionals, owners, and contractors. For the past 13 years of his Canadian experience, Hossam has served as Design Architect, Job Captain, and Project Manager for numerous institutional, commercial, recreational and residential building projects in Canada. Consequently, he is knowledgeable of applicable building codes, legislation and contracting practices. As a product of his experience at all levels of project delivery, Hossam has in-depth knowledge of construction methodologies supported by strong design skills. He also gained solid experience in heritage conservation and adaptive re-use of historic buildings in both Canada and Egypt. Upper Hunt Club Dental Centre (2010-2012). Project management, Project design, Contract Documentation, Bidding, Contract Administration.